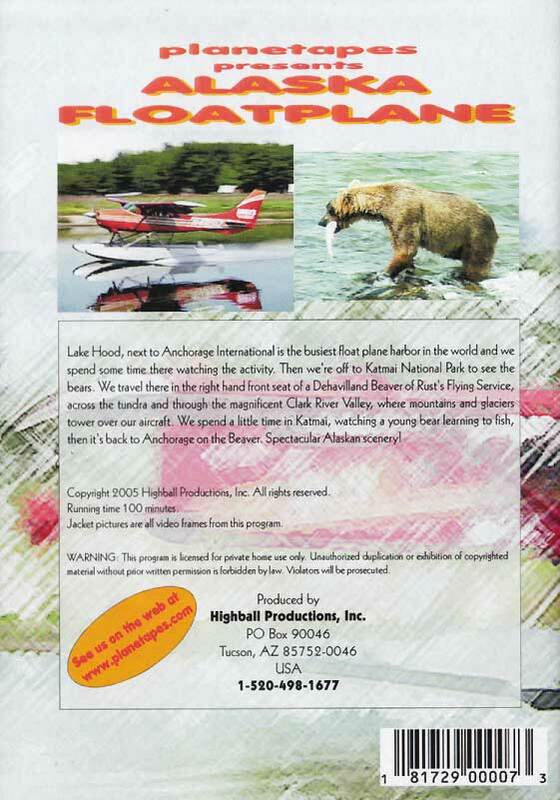 Lake Hood, next to Anchorage International is the busiest float plane harbor in the world and we spend some time there watching the activity. Then we're off to Katmai National park to see the bears. We travel there in the right hand front seat of a Dehavilland Beaver of Rust's Flying Service, across the tundra and through the magnificent Clark River Valley, where mountains and glaciers tower over our aircraft. 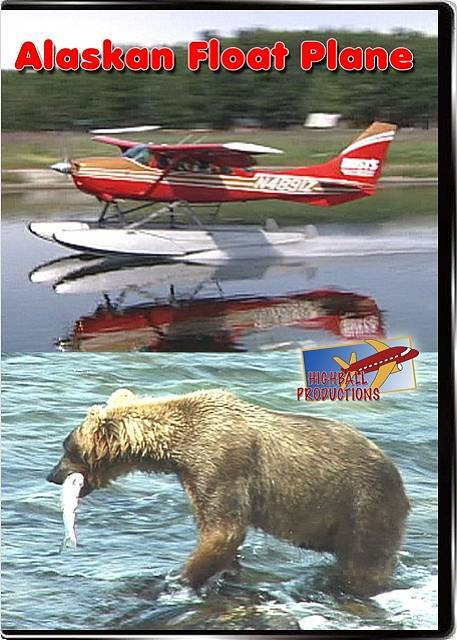 We spend a little time in Katmai, watching a young bear learning to fish, then it's back to Anchorage on the Beaver. Spectacular Alaskan scenery! Train Buff (Southern California) on 2015-09-22 10:51:52. If this had been filmed in Blue Ray, it would have had some REALLY fantastic scenery. That said, it started out with about 20 minutes worth of nothing but float planes taking off and landing (watering? :>)) at Anchorage. I like planes, even flew my own many, many years ago, though not a float plane, but this was a little much. Once airborne it was typical of the views one sees any time one flies. It did bring home how vast Alaska is and how inhospitable much of it is. Scenery was good. Interesting stops to refuel out in the boondocks with only air or water access. One wonders how those people live that way. Overall, a good film, but not a keeper.